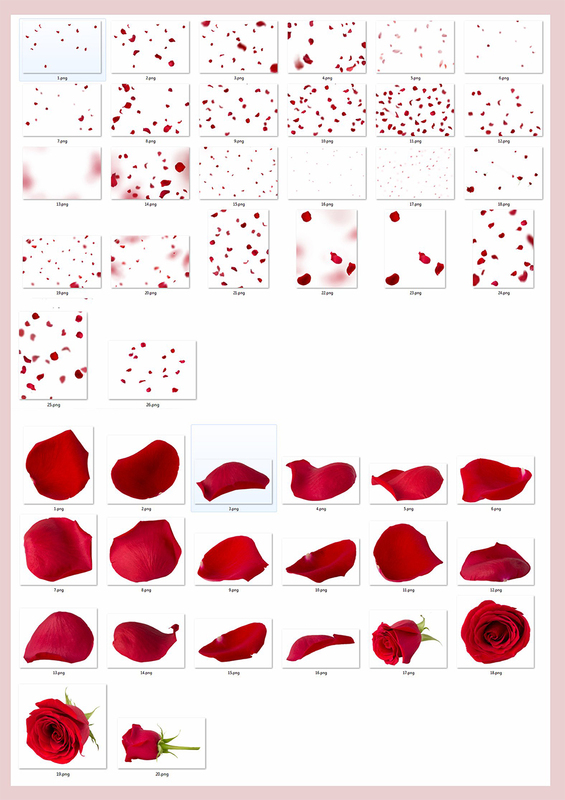 Falling Rose Petals Photo Overlays: A Collection Of Photo Overlays and Elements in .PNG Format. Get creative with these falling rose petals photo overlays and give life to your images! Easy to use, these overlays are perfect for romantic or wedding photography work and guarantee a great result after your outdoor shoots. 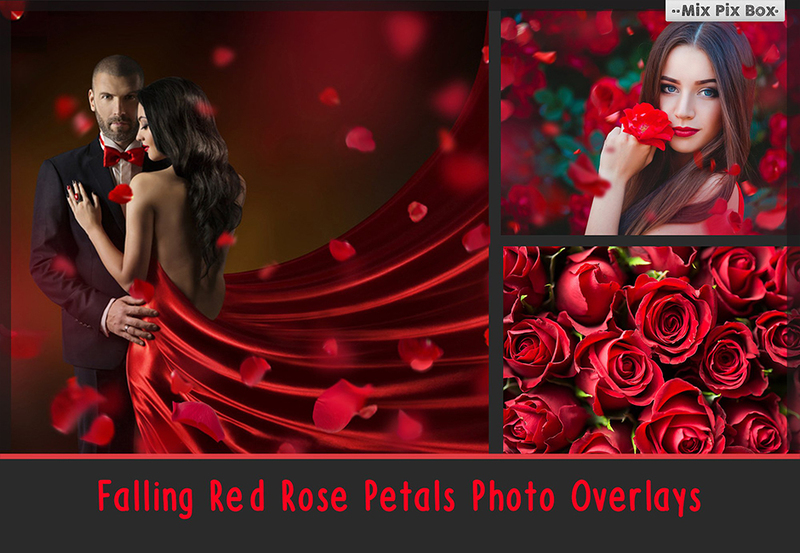 • 26 .PNG Falling Red Rose photo overlays with transparent background. • 20 .PNG Separate Rose Petals with transparent backgrounds. • Note to the Lightroom users – please, make sure you have a plugin that allows you to work with layers. 26 overlays and 20 isolated elements in .PNG format. File size is approx 156MB (162MB unzipped), offered as a single download.